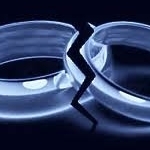 Couples going through a divorce should be sure to address these 10 tech related issues.–PC Pitstop. If the end of a marriage is looming, it can seem insane to be thinking about things like how to deal with that shared Flickr account, who the iPhone 6 contract really belongs to, and even what to tell your Facebook friends. But treating these shared intangibles with less consideration than the traditional stuff can impact your divorce, whether it’s a Facebook venting session ultimately affecting a judge’s child custody decision or an unwiped computer allowing a vengeful ex to stalk you. From splitting shared photo accounts to what to say (and not to say) on social media, we’ve rounded up 10 tech tips for couples going through a divorce. Photo sites and cloud storage services such as Flickr and iCloud are the family albums and file cabinets of our time. If the shared account with all those family pictures or financial documents isn’t in your name, you may want to download your content in case an angry ex-spouse decides to withhold the password. Family law attorney Jacqueline Newman shares a story about a couple who had a joint iCloud account on a family iPad, with the ex-wife refusing to give her ex-husband the password. Apple couldn’t help, as the account is in the ex-wife’s name. “He can’t buy apps and he can’t get his content out of there,” Newman says. Apple has admitted this is a hole in the process, similar to someone trying to access the Apple account of someone who has died. If the account isn’t in your name, you can’t get the password. Judges don’t particularly want to get into the specifics of who should get the iCloud, Dropbox or Flickr accounts, says Newman, so it’s safest to secure your content before the situation becomes acrimonious — or be sure that you can come to an amicable agreement over the divvying of shared digital content.